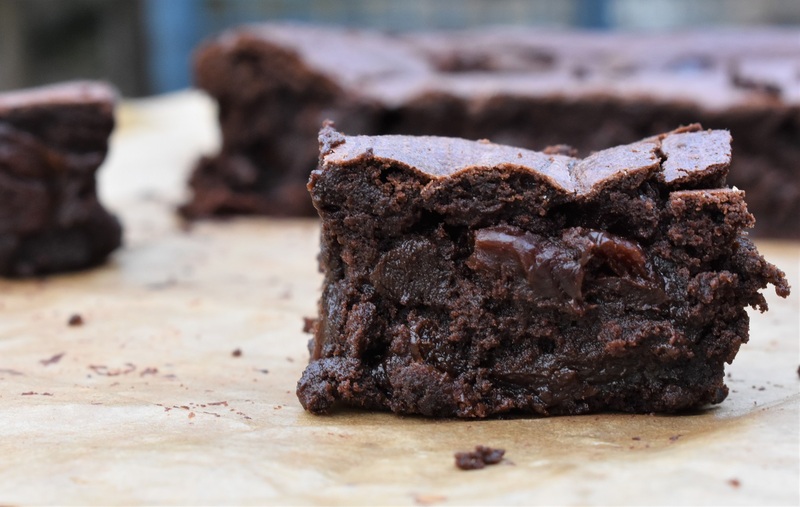 Sourdough brownies might sound bizarre but these are a great way to use up sourdough starter that might otherwise get discarded, with the starter adding a subtle tang to the brownies. Certainly everyone who has tasted these has gone back for at least another brownie! I am fussy with brownies and I get so disappointed when brownies are dry or just like a standard cake. 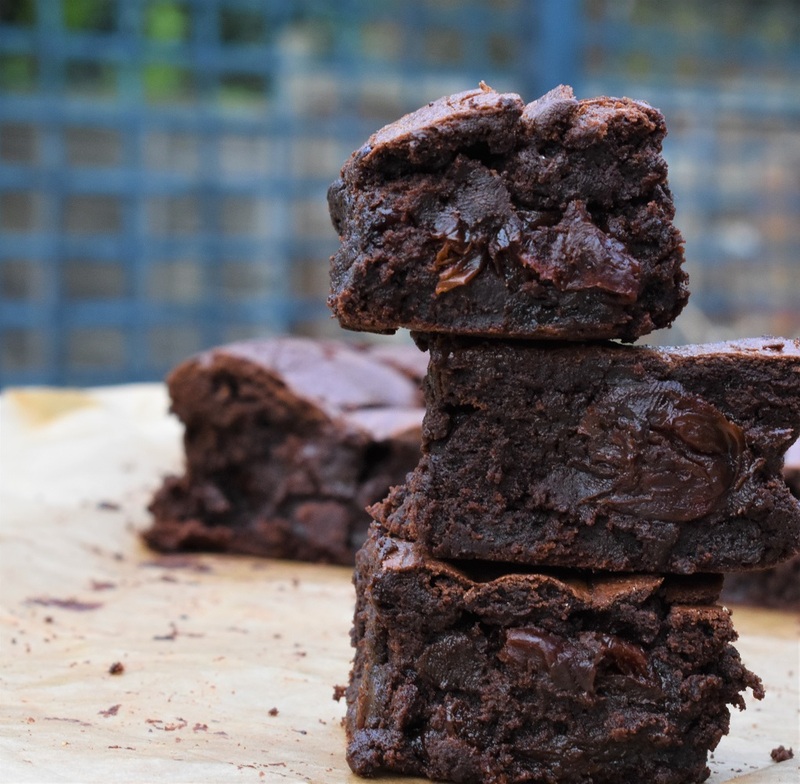 For me a brownie needs to have a thin crisp top and a squidgy interior – almost to the point of seeming under-cooked. These brownies are rich, sticky and very moist and they are laden with boozy cherries: just dried cherries that have been steeping for a few weeks in Kirsch – I always have a pot or two of these on the go, some with Kirsch, some with rum and a pot with a mixture of liqueurs!! Great to chuck into cakes, brownies and the like. 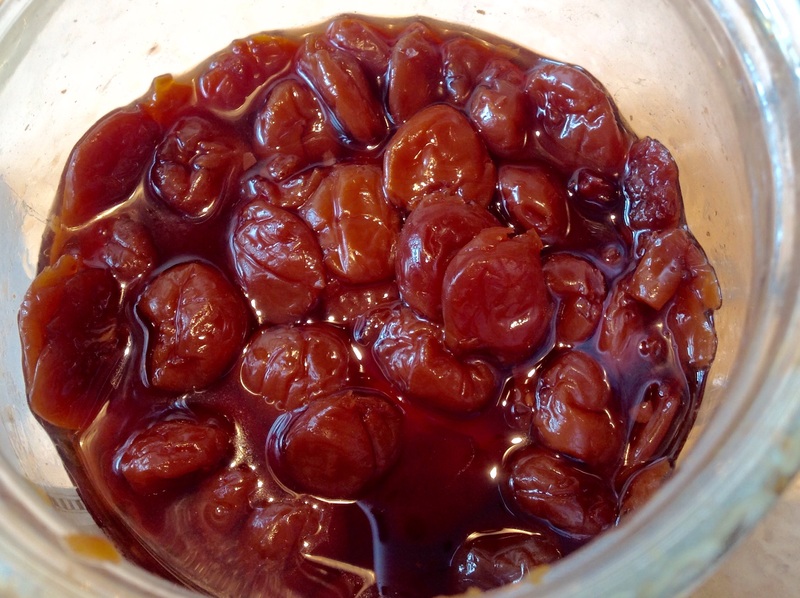 If you don’t want alcohol, you can dehydrate dried cherries overnight in orange juice – just enough to cover them, to give the brownies a chocolate orange vibe. 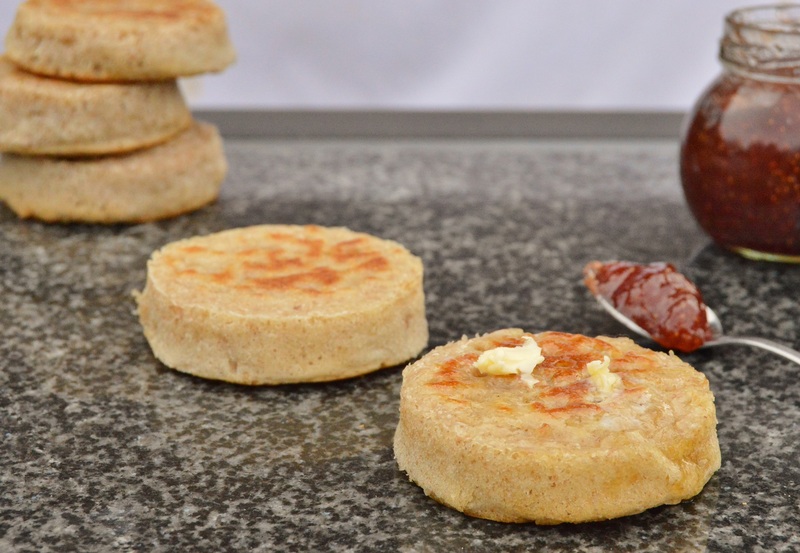 Often the sourdough starter gets discarded, although I like to make sourdough crumpets and quick flatbreads with them: partly as I hate waste, but mainly as I adore crumpets! The starter needs to be active and fed regularly, so I use the starter in these brownies just before it is ready for another feed or is ready to be used to make a sourdough loaf. I keep my starter at 100% hydration ie) whenever I feed it, I do so with equal weights of flour and water. I have made these brownies with a friend’s starter that is more liquid than mine and even without adjusting the quantities below, the brownies were excellent. Basically, it is very hard to mess up a brownie! If you don’t have a sourdough starter, simply replace the starter in the recipe below with 100g plain flour and 100g milk. 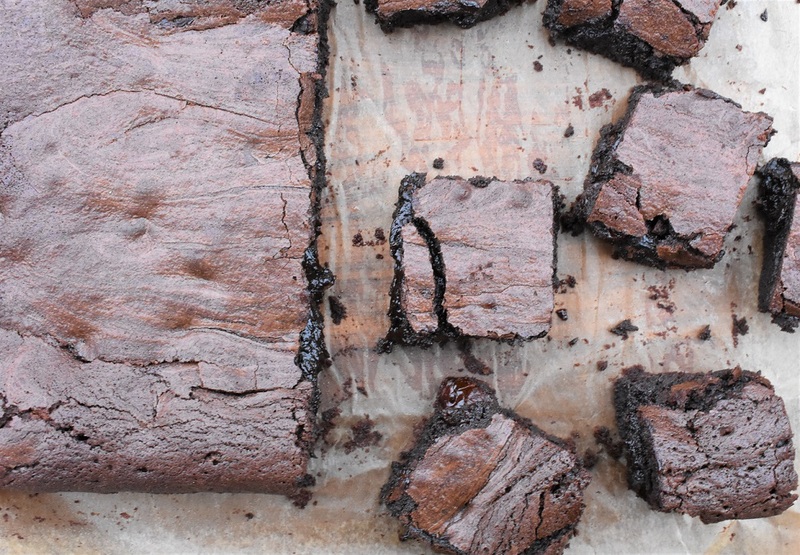 (1) Preheat the oven to 160C (fan) and line a square or rectangular brownie tin with greaseproof paper. (2) Put the butter and chocolate in an oven-proof bowl and sit on a pan of barely simmering water, stirring from time to time until the butter and chocoalte have started to melt. Remove from heat and let them continue to melt. Stir in the salt. (3) Whisk the eggs and sugars together either with an electic hand whisk or a balloon whisk for a few minutes until light and frothy. You want the sugar to dissolve, so when you can’t feel the grains of sugar it is ready. (4) Add the starter, salt and the melted chocolate and butter to the egg mixture and whisk in gently to incorporate. Gently whisk in the cocoa powder and stir in the cherries. 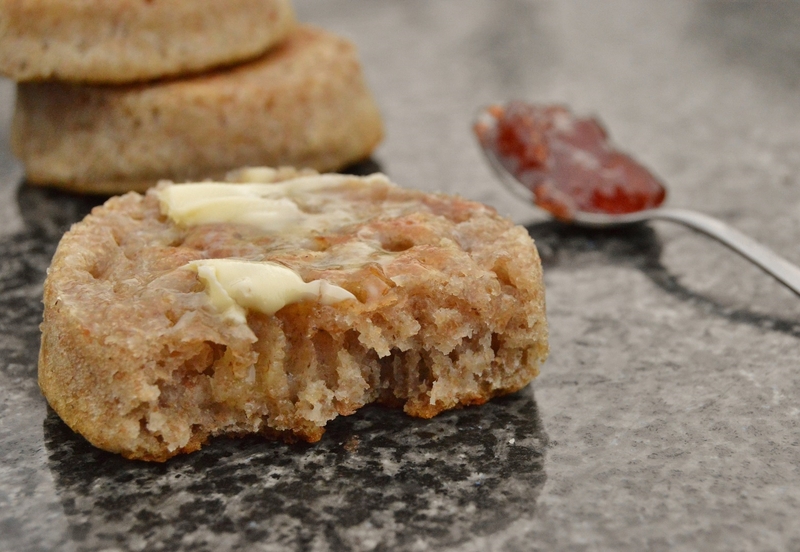 (5) Pour into the tin and bake for 30-35 minutes or until the mixture is well risen, has cracked slightly on top and there is no wobble around the centre. Leave to cool in the tin before cutting. agree with you – brownie must have that “have I baked it enough?” quality… otherwise it’s just cake! These look amazing. As you say, very hard to muck up a brownie! 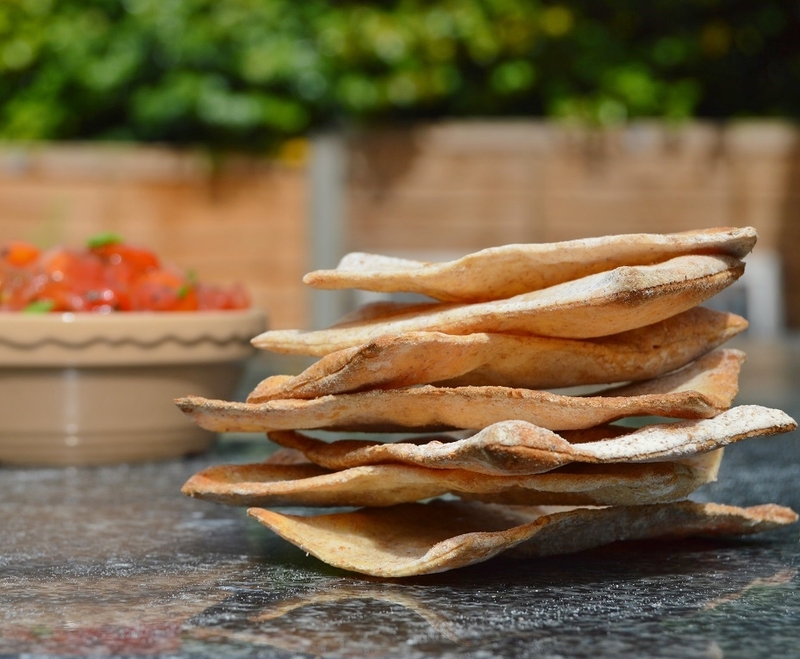 I have some starter in the fridge – guess what I’ll be making tonight.